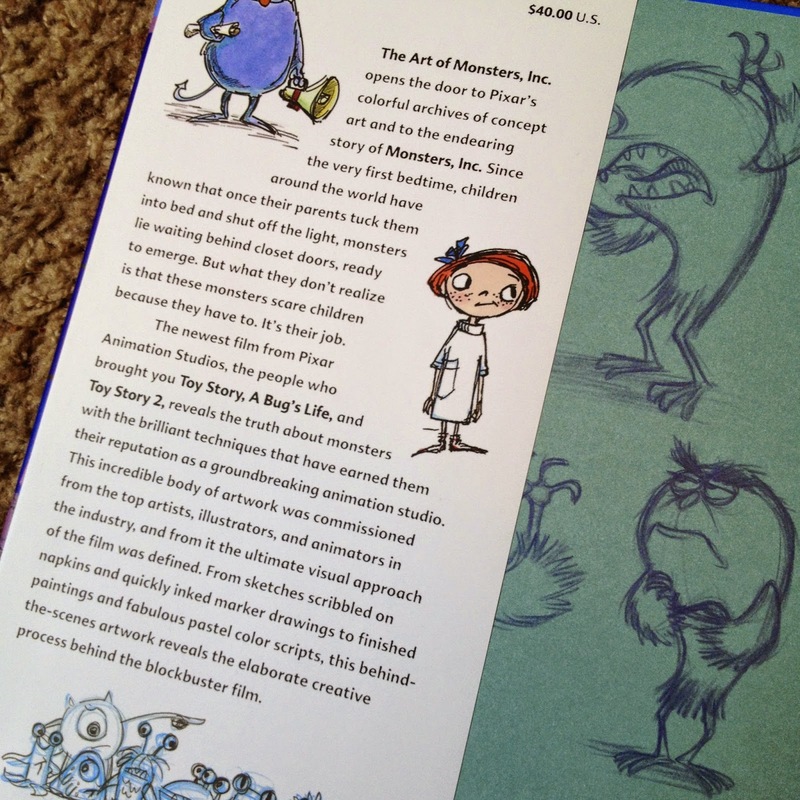 Here is yet another absolutely fantastic "Art Of" book from Chronicle Publishing...The Art of Monsters Inc.! 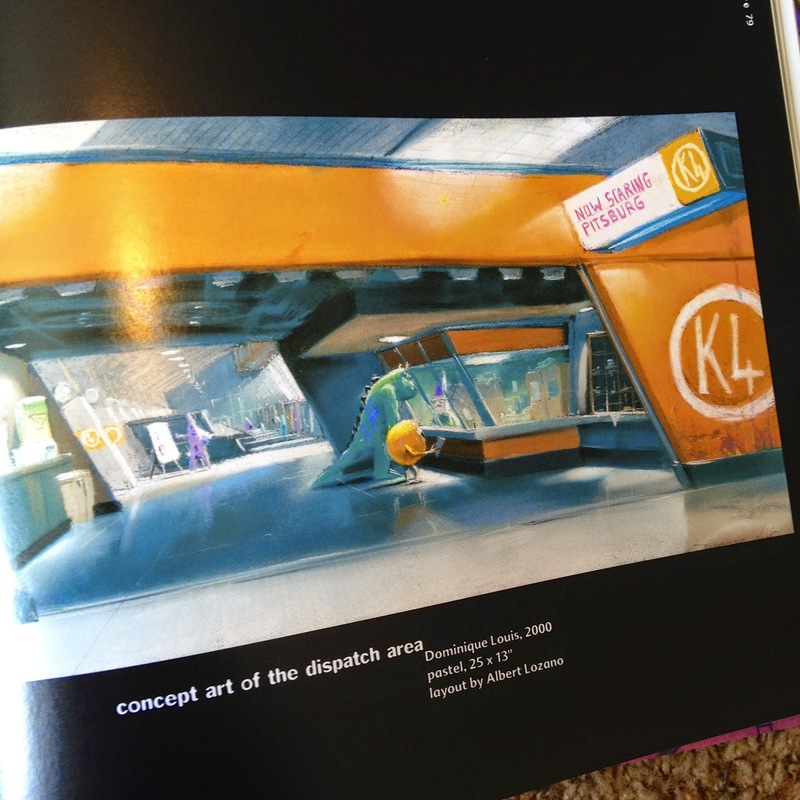 This book was released in 2001 and was one of the first, if not the first, "Art Of" book that was released for a Pixar film. Compared to the more recent books in this "Art Of" series, this one has much less text (which I like). It focuses almost 100% on just the art with just brief explanations on what each image is and who the artist was. This book is 142 pages with approximately one image per page (but some with more). 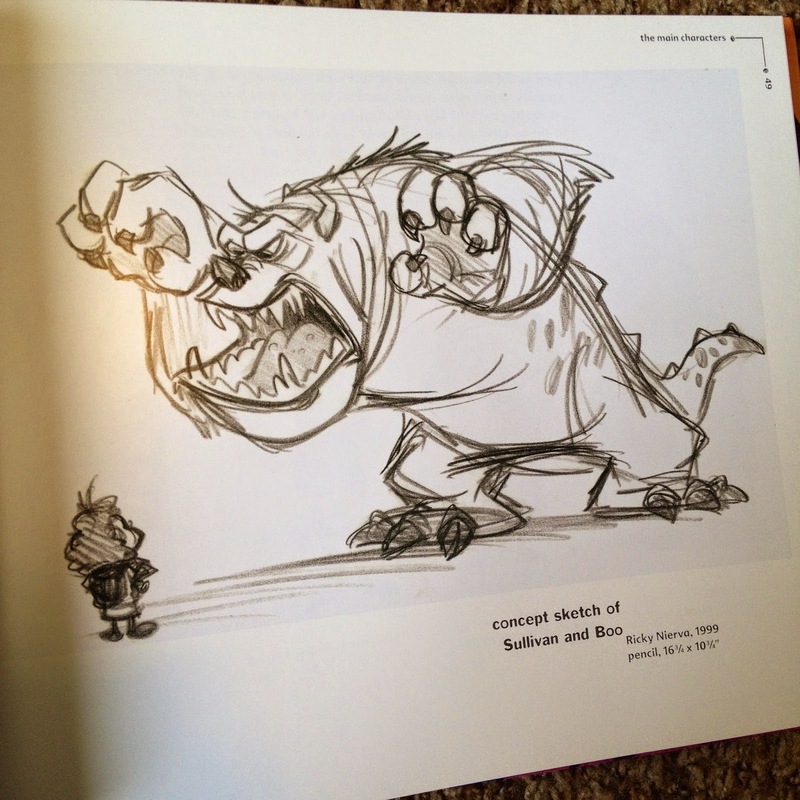 If you're looking for an in depth "Making Of" type book, you'll be disappointed. There is a brief introduction by John Lasseter and the film's director Pete Docter, which pretty much just covers how the story originally developed and some about what research was done in order to achieve the film's look. 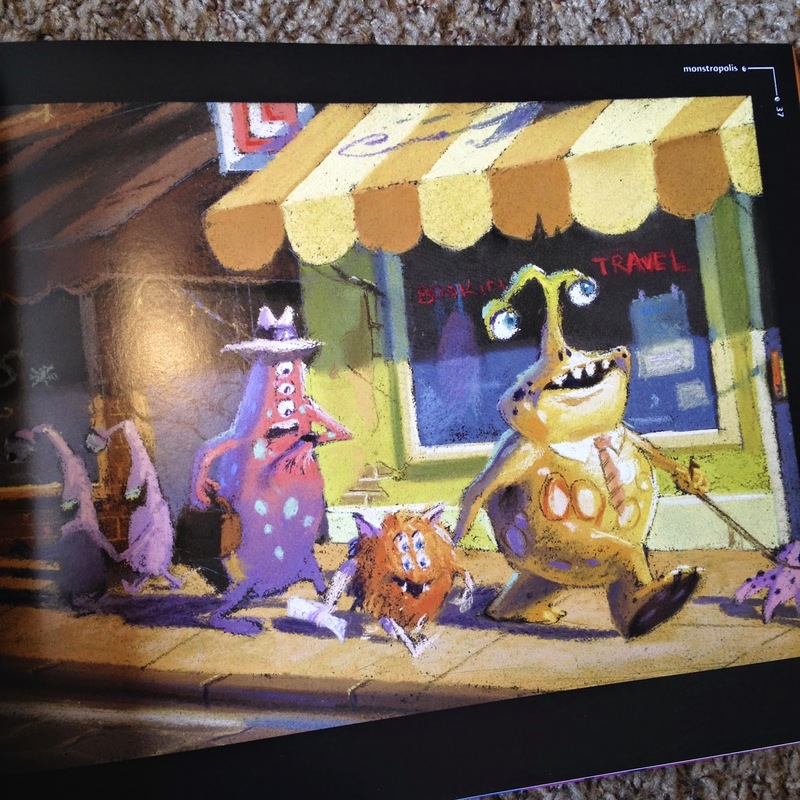 What's especially interesting is that as you browse through each piece of concept art, you'll see that early illustrations of the monsters and the monster world have a vastly different look and tone compared to what ended up on screen. 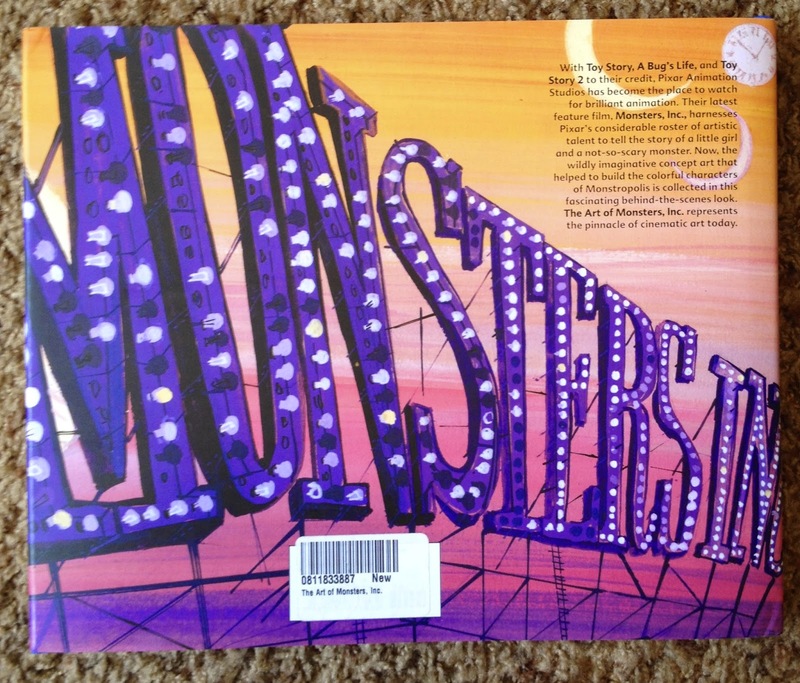 For example, some of the images show Monstropolis as more of an old, creepy and dark city with an almost "Halloween feel" to it. It's interesting how many changes the look and tone went through, but it's understandable since the filmmakers really were dealing with endless possibilities when creating a completely made-up world. Monsters Inc., in my opinion, is one of Pixar's greatest and most genius films in their impressive lineup. It has everything: heart, humor, a brilliant original storyline, great music and an iconic look to the film and its lovable characters. 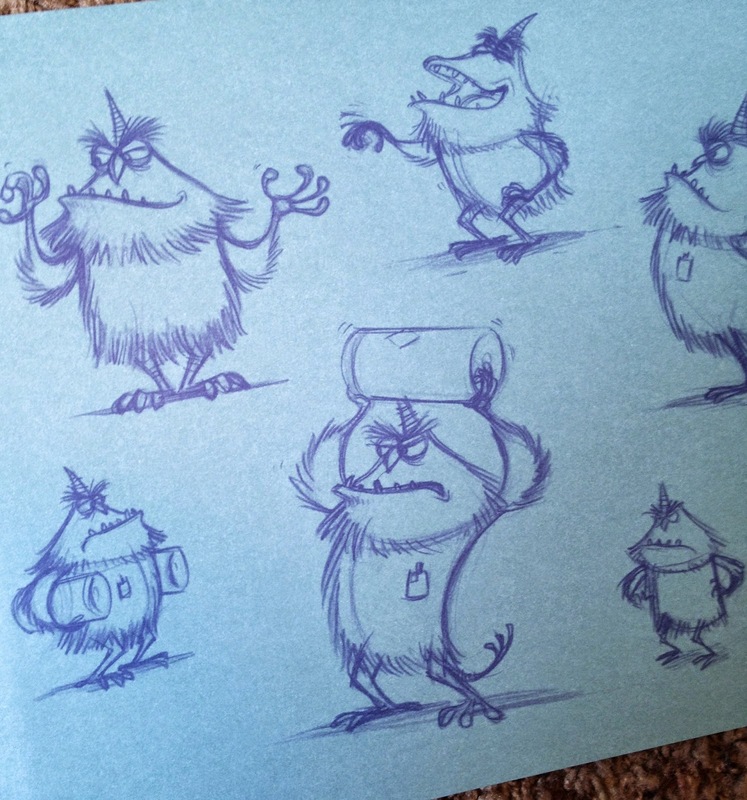 All of the concept art and abandoned ideas really paid off! None of it was in vain, it all lead to what we know and love today. 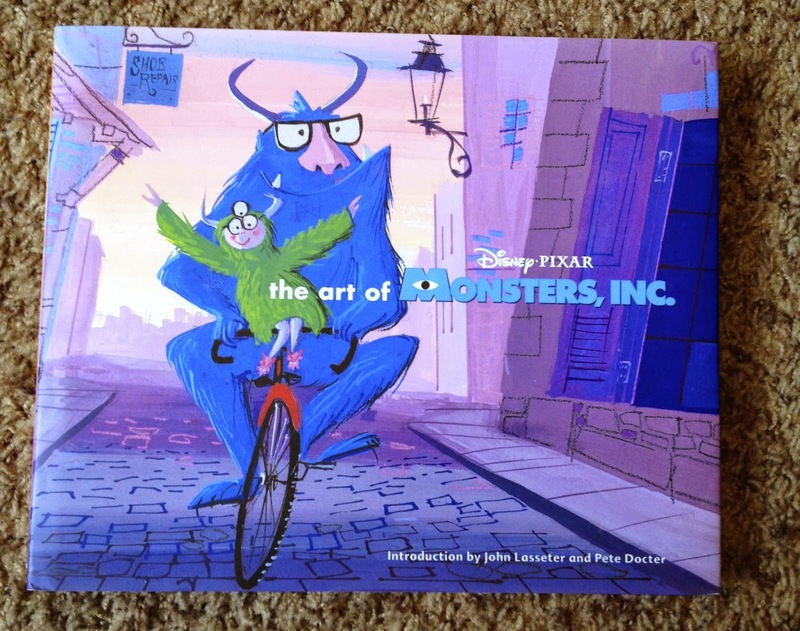 Although the film's final look is my favorite, I'm thrilled to have this book as part of my collection as it's a bit of Pixar's history. It's a way for everyone to see and appreciate much of the hard work that that was done by artists many years before the film's release. A big thanks to my awesome aunt who got me this for my most recent birthday. It's one of the last ones I needed! Stay tuned for more soon. 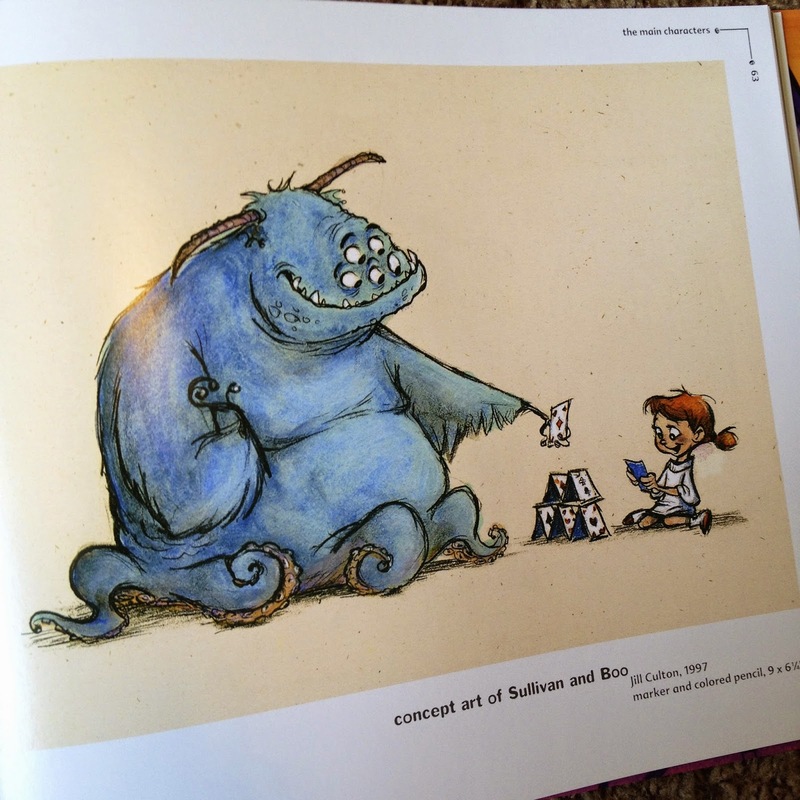 Labels: Art, Books, Monsters Inc.